In this gripping second installment of the Last Light Falling series, faith becomes the only escape from a relentless war about to be waged on American soil, and it’s up to Arena to keep Russia from becoming the deterrent in an international upheaval for power. One man stands between her and a fight for survival while she risks everything to help lead a new fellowship to a permanent safe haven. While her faith wavers during this impossible quest, her sanity begins to slip, which causes her to sink deeper into a dark descent. Though the hope she embraces begins to wither, it’s the difficult decisions she is forced to make that will change the course of everything. J.E Plemons is an outstanding author. Last Light Falling into the Darkness is brilliant, and easy to comprehend. Something that is a rarity to find these days. In the beginning, Arena and her twin brother Gabriel make their way across the broken nation. Adversities the twins must face are restless in this apocalyptic world. They make friends, and enemies. There is a few flashbacks of the horrors they preserved through in first book Last Light Falling: The Covenant. Arena and Gabriel struggle to survive within the torn nation. The overall theme “fighting to survive” is widespread in this breakthrough novel. It has everything you want in a Young Adult Dystopian novel. Last Light Falling into the Darkness, is thrilling enough to keep you captivated till the last page. Which leads to third book, yet to be released. You will be begging the author J.E Plemons to release it sooner! Jay’s only philosophy is to enjoy whatever time you can whenever you can, with whoever you can, because the uncertainties that tomorrow may bring will have a profound impact on how you give your time today. If we could all just stop for a moment and enjoy the little things in life that make the big things worthwhile, our troubles would all seem inconsequential. First I want to thank J.E Plemons for doing the interview with me. Read the interview below and found how intriguing he is. I don’t really have a structured process for writing. My head is continuously filled with stories. I’m a full time daydreamer. I used to outline, but found that that just distracts me from letting the stories unfold naturally. I jot down ideas on paper at the strangest times. I always carry around a pad and pen in my car. If I’m in a store, I pull out the iPhone. But my computer is my best friend when it comes to exploring the meat of the novel. My keyboard is worn from my finger tips and probably doesn’t care that I use him as my crumb disposal. C.S. Lewis and Tolkien without a doubt for their courageous unsolicited effort to go against the pretentious grain of the book publishing world during their time. They both have created timeless characters and stories to which have inspired many to follow in there writing footsteps. Robert Lewis Stevenson and Jack London, two of the greatest authors of our time, for their masterful real-life characters and colorful story telling through prose and poetry. Working on a contract with a couple of movie producers to transfer the Last Light Falling series to the screen. I’m a professional drummer, certified chef, been an extra in several movies including Dazed and Confused, classically trained musician and carpenter, and a certified English/Literature teacher from 5th-12th grade. Mostly thrillers, psychological or dystopian. 7. What is your most recent book Last Light Falling: Into The Darkness about? This is the second installment of the Last Light Falling series. Faith becomes the only escape from a relentless war about to be waged on American soil, and it’s up to Arena to keep Russia from becoming the deterrent in an international upheaval for power. One man stands between her and a fight for survival while she risks everything to help lead a new fellowship to a permanent safe haven. While her faith wavers during this impossible quest, her sanity begins to slip, which causes her to sink deeper into a dark descent. Though the hope she embraces begins to wither, it’s the difficult decisions she is forced to make that will change the course of everything. 8. How do you come up with characters for Last Light Falling: Into The Darkness? The main characters, Gabe and Arena, are based on my kid’s personalities, and the experiences these characters live are based on my very own as a child. I like coming up with characters based on real people that I have either read about or have actually met. Makes it so much easier to build and develop. 9. What are your favorite characters in Last Light Falling: Into The Darkness and Why? Arena for sure. She’s honest, strong willed, stubborn, and makes plenty of mistakes. She’s a very raw character who isn’t perfect, but strives to be kind to others. She’s real. It all depends on how busy I am with writing and re-reading my own books. This year I have read 3 full novels in my small amount of spare time. 12. What is the hardest part in writing Last Light Falling: Into The Darkness? Continuing a story that will flow without having to read the first book. The second book is always the hardest to impress. It’s the second act in a play that contributes to more conflict and less resolve. This is my Empire Strikes Back novel that will leave readers reeling. It was a challenge to keep the characters likable, and still developing. When events tragically change so do characters. I just hope I made that impression quite clearly in this book. 13. 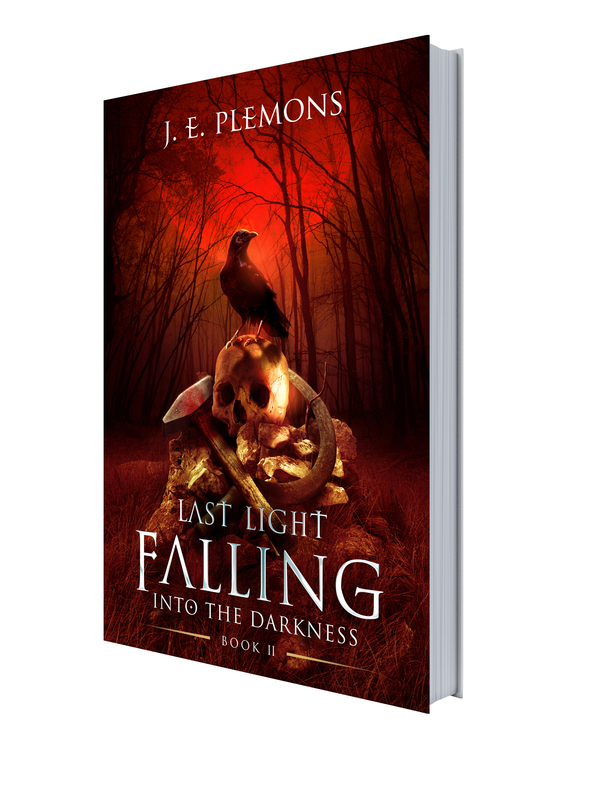 What did you enjoy about writing Last Light Falling: Into The Darkness? Developing Arena’s character beyond storytelling. I enjoyed delivering the imperfections of the human self to the readers and wanted to make them question or at the very least re-evaluate their true selves. I loved giving the characters in this book a roller coaster of emotions, a reflection of what one would feel in such a dreaded time. 14. How long did it take for you to write Last Light Falling: Into The Darkness? From beginning to end, about a year. I have two kids, 11, soon to be 12 year old son, and my feisty going on 11 year old daughter. My kids are always giving me ideas. In fact there are two scenes in book II Into The Darkness that came from them almost verbatim. They watch a lot of indie flicks. My son desires to be a film director. My nine year old daughter is writing her first zombie screenplay. 16. What are your next writing projects? I’m currently working on Last Light Falling – Kingdoms Of The Ten, Book III. I’m about three quarters done. It’s been a long ride with this one, but I’m loving every minute of it. I’ve vested so much into these characters, I will be sad to leave them when the fourth and final book of the series is over. When I type those two words on the last page, I think I just might cry…hey, real men cry. 17. What are your writing or publishing goals in the future? I try not to look to far in the future. I have been too busy with right now, but I do want to complete the Last Light Falling series by December of 2016. After that, I have a too many psychological thriller ideas to go through, before I can decide which one I want to start. 18. How can fans reach you directly? Purchase Falling into the Darkness at Amazon. 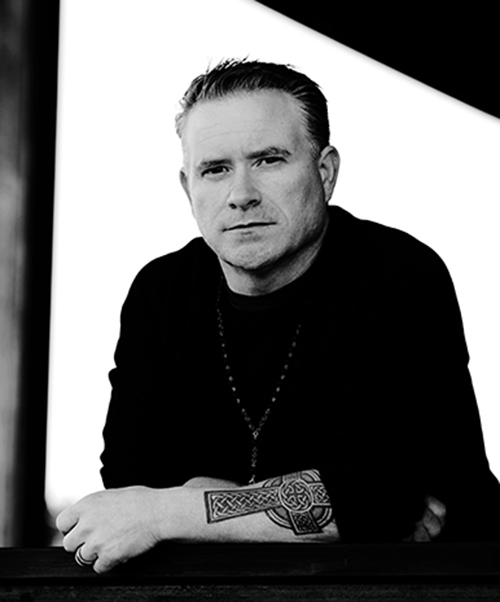 This entry was posted in Author, Author interview, Blog Tour, Books, Science Fiction, Writer and tagged Author, author interview, Book, books, Writing. Bookmark the permalink.